Pony ride operators bring delight to children’s lives because many children do not have the opportunity to ride a pony of their own. Even though this business is gratifying because you get to see the happy smiles, it should be taken very seriously. Ponies can be very unpredictable because these rides typically take place in different locations with young children. Safety and enjoyment are the two main priorities for people along with the welfare of the ponies. If you are an owner or operator of a pony ride business, you should speak with one of our representatives to determine which horse insurance policy covers your needs the best. You worry that you may be sued or otherwise have a claim made against you for bodily injury or property damage by a customer, guest or someone else who comes in contact with you or the property that is part of your commercial horse operations. If sued, you will need to hire a lawyer to defend you and you wonder how you would go about doing this. If found negligent or responsible, you would likely have to pay either a court-ordered or agreed-upon settlement to the injured party. Fortunately, much concern can be relieved when you buy a Commercial General Liability Policy [GL] to insure your Pony Ride activities. Commercial General Liability Insurance protects you from financial loss should a child rider, visitor, bystander, or a trespasser become injured [Bodily Injury] or their property is damaged [Property Damage] in relation to your operations, and they make a claim or file a lawsuit against you for damages. How Risky is the Pony Ride Activity? High Risk. Pony rides are a particularly high-risk activity because it involves small, young children who are usually inexperienced around horses. The locations vary, but it typically is in very public places with people and loud noises. With the risk being a little higher than average, you can depend on our team for a trusted horse insurance quote. As a stable property renter, you may not have access to property insurance for tack, equipment and machinery you use in your business. Ark Agency can insure these items by adding a Property Coverage Endorsement to the General Liability Policy. Additional premium is charged for this endorsement and the items and values must be declared in the application process. 1. 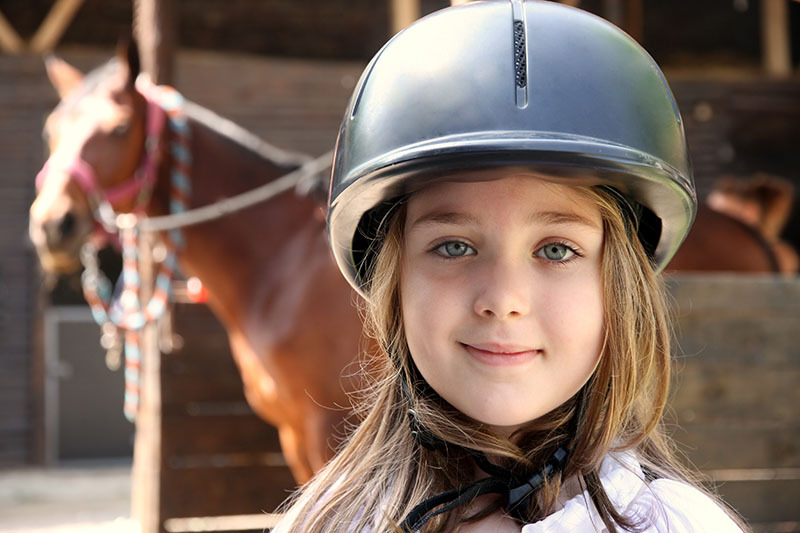 A child rider falls or jumps from a pony and is injured while taking a ride. 2. A child or adult bystander is injured while watching, tripping over or falling from a gate component, or when trying to get near the ponies or children. 3. A pony gets loose while at a public location. It may cause damage to lawns and gardens, get hit by or crash into a car, charge into people, or through a window because it is afraid. 4. Someone deliberately tries to scare a pony, causing it to react and behave in an unsafe way. Contact a representative to learn more about our animal life insurance policies.